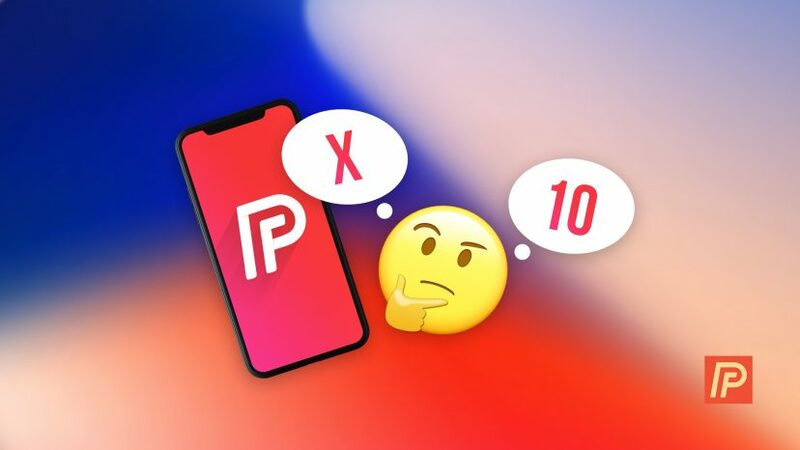 Is iPhone X iPhone 10? Whether To Say "iPhone X" or "iPhone Ten"! You are at:Home»iPhone»Is iPhone X iPhone 10? Whether To Say “iPhone X” or “iPhone Ten”! You’ve heard about the iPhone X, but you’re wondering how to pronounce it: is it the letter X or the number 10? In this article, I’ll explain how to say iPhone X and why iPhone X is pronounced the way it is. Is iPhone X Pronounced iPhone 10 (Ten)? The iPhone X is pronounced “iPhone 10” or “iPhone ten”, not iPhone and the letter X. “X” is the roman numeral for 10, and Apple chose to commemorate the 10th anniversary of the iPhone by naming their newest phone the iPhone X. Back in 2001, six years before the iPhone was released, Apple chose to name the tenth release of it’s Macintosh operating system Mac OS X, not Mac OS 10. Although you (and I, until I worked at Apple and was corrected) may have said “Mac OS” and the letter X, the correct pronunciation was “Mac OS 10”. Even as an Apple geek, I still said caught myself saying “Mac OS X” (not 10) for years after I found out the correct way to pronounce it. It’s now or never. Let’s start saying “iPhone 10” (“iPhone ten”) before “iPhone X” becomes hardwired into our brains. I’m sure that Apple did not in10d to make our lives more difficult with the release of iPhone X. As a former Apple tech who walked into the Genius Room saying “Mac OS X” (not “ten”), I’ve felt the in10se glare of nerdy contempt. You may not be a geek yourself, but pronouncing iPhone 10 correctly is a sure way to gain respect from the IT department. Then again, saying things at home like, “No darling, I don’t have an iPhone X. I have an iPhone ten.” may not go over all that well. Previous ArticleBuy iPhone 8: Verizon, T-Mobile, Sprint, & AT&T | Best Deals On iPhone 8 & 8 Plus! Next Article How To Screenshot On An iPhone X: The Easy Way!